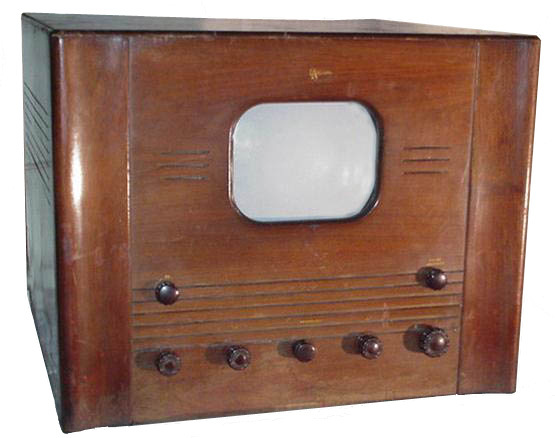 The Transvision 7" Kit TV with factory cabinet. This set was sold in early 1946, made up mostly from war surplus parts. It has a 3 channel tuner, and still has the AM audio circuits. 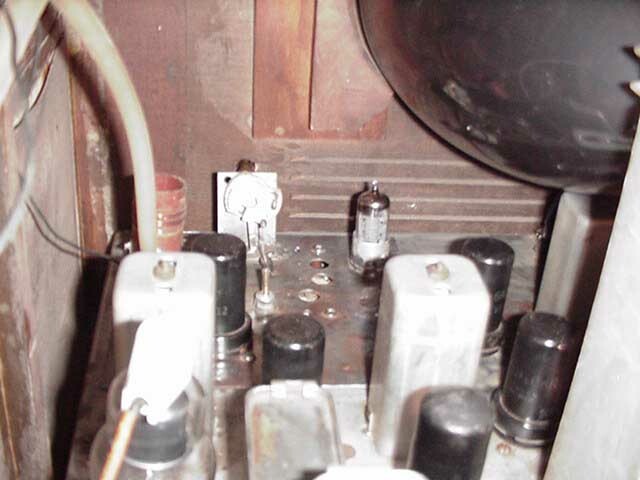 A 7EP4 CRT and a typical prewar 2,000 volt 60 cycle high voltage power supply. 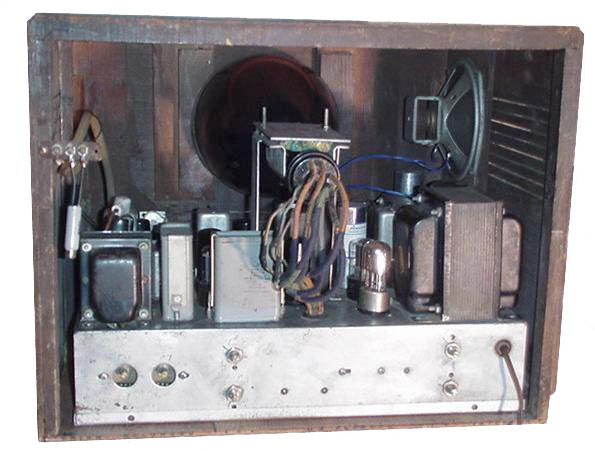 Looking at the chassis and tube layout, the only thing that gives it away as not being prewar is the 6C4 oscillator in the tuner. 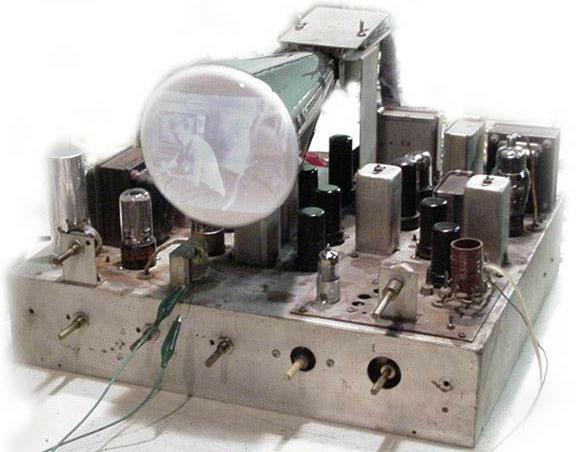 The three channel tuner, the 6C4 oscillator can be seen to the right of the fine tuning capacitor. The set on the bench during restoration, the correct CRT for this set is a 7EP4, during the testing I used a 5BP4 CRT. The set was found in a barn so there is some rust spots on the top of the chassis. I've been tempted to paint the chassis metallic to hide the rust areas, but for now it is staying rough. The cabinet is in fair condition with some veneer missing on the sides, at some point I will send it out to be restored.